Taapsee Pannu is the new style diva of Bollywood. Apart from her films, she is also amazing in her fashion sense. Bollywood divas are the inspiration to many when it comes to fashion. These divas have their own style statement and stand in front of the pack when it comes to flaunting their style. 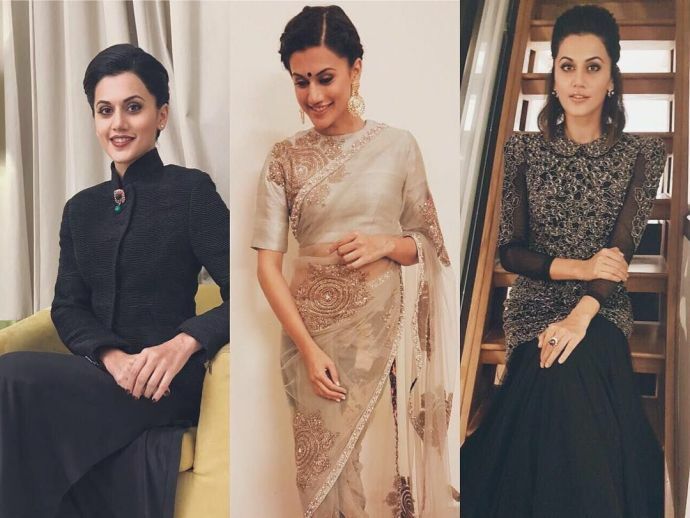 Taapsee Pannu is the new style icon of B-Town. Taapsee made the whole world crazy with her fabulous acting in Aniruddha Roy Chowdhury’s Pink. Now again Taapsee is returning with a new film Naam Shabana, which is a prequel of Baby. Directed by Shivam Nair Naam Shabana will hit the screens on 31st March 2017. Although Taapsee has made a special place in Hindi cinema, her style statement has always been an unnoticed topic.